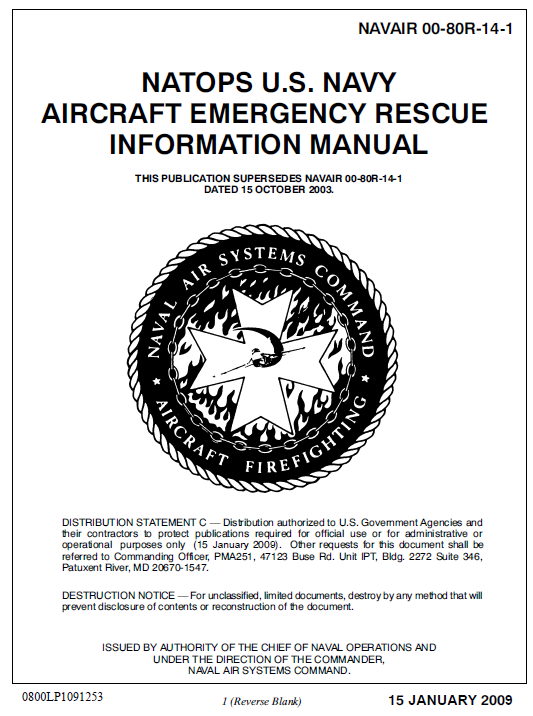 This manual contains essential information and procedures for use by Aircraft Rescue and Firefighting (ARFF) personnel when rescuing occupants from crashed or disabled naval aircraft. It has been organized for ready reference by rescue teams and is intended to serve both as an operational guide and a training manual for rescue personnel. 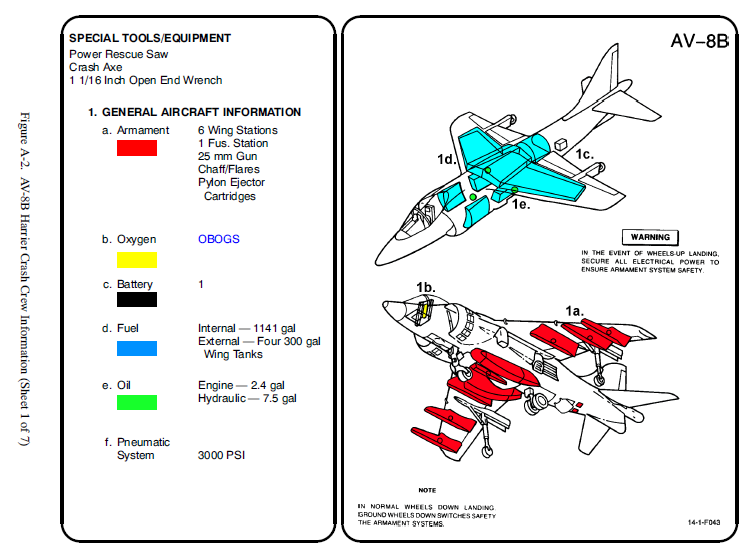 This publication has been prepared for use by crash crew members and their supervisors engaged in aircraft rescue operations. It is intended for use as a ready reference during actual rescue operations. 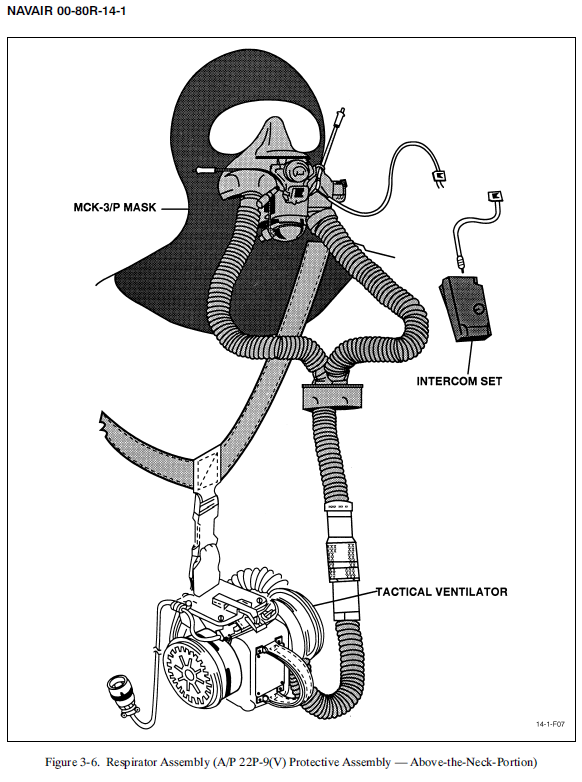 It provides detailed information about aircraft hazards, danger areas, procedures for aircraft entry, engine shutdown, ejection seat safing, aircrew and passenger release and extraction, and other actions important to aircraft rescue and firefighting personnel.